*The PITAAS GPA requirement is higher than UAS Financial Aid and may differ from the requirements set forth by your degree program. The conditions stated here are separate and in addition to any requirements imposed by those offices. Undergraduate UAS PITAAS students are required to take a year-long course that is designed to build leadership skills and strengthen Native identity. PITAAS students are also provided with group and individual tutoring support through The Learning Center. The Native and Rural Student Center provides a welcoming space for students to gather in a comfortable environment, as well as staff support to meet student needs. The Alaska Native student organization, Wooch.Een, meets regularly and sponsors many cultural activities throughout the year. PITAAS contributes toward UAS as a culturally responsive institution by integrating Native culture into courses and supporting UAS faculty to meet the learning needs of Native students. 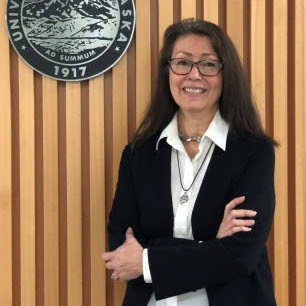 Sealaska Heritage Institute, the Central Council of Tlingit and Haida Indian Tribes of Alaska, Alaska Native Brotherhood and Sisterhood, Future Educators of Alaska, and school districts from Southeast Alaska are partners with UAS in the PITAAS Program. The TEACH Grant is designed for students who intend to teach full time in a high-need field at a public or private elementary or secondary school that the U.S. Department of Education has designated as having a high concentration of students from low-income families. Students enrolled in the M.Ed. in Special Education, M.Ed. in Reading or MAT Secondary with endorsement in Science, Math or Foreign Language are eligible to receive the TEACH grant if they meet all other requirements. Please refer to the UAS Financial Aid website for additional information. The Alaska College of Education tuition scholarships are awarded in support of those qualities the College encourages in its students. These qualities include academic excellence and a willingness and ability to contribute to the field of education and the UAS community. There are a limited number of tuition scholarships awarded each academic year. A student may apply for more than one award. These scholarships will cover up to $1,000 of tuition charges for courses offered by the UAS campus. Tuition scholarships must be used in full during the semester in which they were awarded. Please note: Tuition scholarships will only pay for summer semester courses that begin on or before the 17th of June, 2019. Be formally admitted to an Alaska College of Education program. Be officially registered in at least 3 credits at UAS. Have a cumulative grade point average of 3.0 or higher and be in good academic standing. Have completed at least 9 credits in education courses. Submit a statement of need including how this scholarship will assist your educational pursuits at UAS or your future career development (maximum 250 words). Completed Spring semester applications must be submitted to the College of Education no later than 5 pm on January 18, 2019.